Ah, summertime. For many of us, it means relaxation and days by the pool. But for the rest of us, it beach body season. A time where we examine every inch of our body from every angle of the mirror. At the end of the day, we all want a better body. Even if you’ve been eating right and exercising regularly, it can be hard to rid yourself of those dreaded love handles. Luckily, there’s an easy and non-invasive solution! 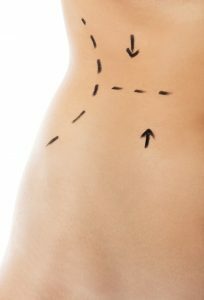 Body contouring is a great way to get the body you’ve been after easily and affordably. Ready to learn more? Keep reading to find out what contouring is and how you can secure a Verju green diode system for your office. At its most basic level, contouring is synonymous with body sculpting. Think about how a sculptor removes any excess material from their artwork during the process. Sculpting a body surgically is much the same process. It generally refers to small, non-invasive surgeries that are ideal for tightening skin. Body contouring can be for anyone, especially those of us who have been trying to get rid of those tiny fat rolls. What constitutes body sculpting, then? This is a bit of a tricky question, as it varies depending on the medical practice. Some of the following procedures fall under the body sculpting umbrella. This is a bit of a tricky question, as there’s no one demographic that contouring appeals to most. It can be for patients of any age or size. In general, however, body sculpting is a great resource for those who have lost a lot of weight. Weight loss is a tremendous thing and shows you how resilient the human body really is. But it can leave you with unsightly extra skin and flab that you just can’t seem to get rid of. It isn’t your fault at all, you’ve done everything right! This extra skin is caused by elasticity. Your skin is so used to being stretched out that it’s hard to shrink down. Body sculpting is also a great resource for moms and other women looking to improve their bodies. Most of all, it’s for anyone who wants to feel better about their bodies. If you’ve been overweight for a long time, it’s common to still feel a bit self-conscious. It can be hard to shake the sense that you’re still larger than you are. Get the confidence you deserve through professional body sculpting procedures. If you’re interested in learning more don’t be afraid to give us a call! Our machines make the contouring process easy and completely painless. All you have to do is set up treatment! This is a treatment that you can feel great about recommending to patients. Our system is safe, virtually painless, and will make patients feel better than ever. It’s time to help get your patients’ get their life and body back. Contact Verju to see how you can get one of these incredible machines in your office.